Edited to add (August 17, 2016): Jayne Ann Krentz tweeted me about a name change for the hero. I will edit to add the new name once we have details. Edited to add (August 18, 2016): The hero’s new name has been added. The old name was Hutton Axton in case anyone was interested. I stumbled across some news about the next Amanda Quick novel by accident, but it comes from a trusted source. Get this, the next novel is titled The Girl Who Knew Too Much (which sounds amazing) and it’s set in the 1930s! Cordelia Carter is a reporter working undercover for Whispers, a Los Angeles based gossip tabloid. She arrives in Burning Cove on the trail of the biggest story of her career. Oliver Ward is the new, enigmatic owner of one of the most elegant resort-spas in Burning Cove. Before he can get a read on the mysterious Cordelia, she discovers the body of a beautiful, fast-rising film star in one of the hotel spa pools. It soon becomes apparent to Oliver that Cordelia, as the first person on the scene of the murder, may be a suspect. As for Cordelia, she is convinced that the killer she’s trailing has committed murder again. I did a little (or a big) happy dance after reading this blurb. The whole concept seems so exciting and new, but have the romantic suspense undertones that we know and love in an Amanda Quick novel. As of now, the novel is set for a May 9, 2017 release. And, of course, because the release date is so far away some details of the book may change (title, etc)…but I hope not, because it sounds pretty exciting as it is! When Charlotte Sawyer is unable to contact her step-sister, Jocelyn, to tell her that one her closest friends was found dead, she discovers that Jocelyn has vanished. Beautiful, brilliant—and reckless—Jocelyn has gone off the grid before, but never like this. In a desperate effort to find her, Charlotte joins forces with Max Cutler, a struggling PI who recently moved to Seattle after his previous career as a criminal profiler went down in flames—literally. Burned out, divorced and almost broke, Max needs the job. I am beyond excited for this release. Her latest works under the JAK name have featured such amazing characters and I can’t wait to read this book. Spoiler alert…it will be a page turner. When All The Girls Have Gone releases on November 29th. Fans of mystery and historical romance, rejoice! We have a blurb for the next Amanda Quick (aka Jayne Ann Krentz) novel, Garden of Lies (release date April 21, 2015). The Kern Secretarial Agency provides reliable professional services to its wealthy clientele, and Anne Clifton was one of the finest women in Ursula Kern’s employ. But Miss Clifton has met an untimely end—and Ursula is convinced it was not due to natural causes. I’ve had a chance to see a proof of the cover for Garden of Lies, and while I think it’s the a perfect mystery/romance cover with moonlight, manor, and maze, it’s not approved for distribution and I can’t share it just yet since there may be changes. But, I really, really like the cover that I saw and I’m already dreaming about putting it on my bookshelf, so I hoped they don’t change too much. Anyway, stay tuned for the reveal at a later date! 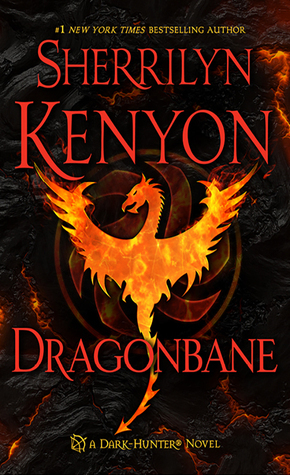 What do the names Kenyon and Jones have in common? Fantastic covers, that’s what! The next book of the Charley Davidson series, Seventh Grave and No Body, releases this year on October 21st but we already have the title, blurb and cover for book eight – Eighth Grave After Dark. 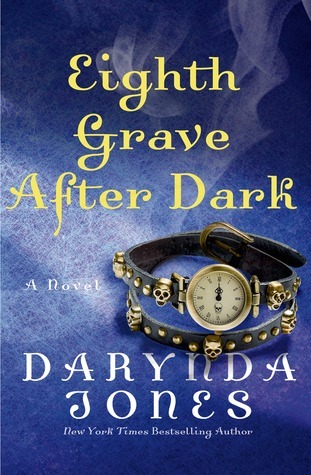 Eighth Grave After Dark releases May 19th, 2015. But we promised you two for the price of one, so here’s cover reveal number two! Max’s book hit bookstores – though not literally – on August 4th, 2015. So there you have it…two amazing covers for the price of one. How’s that for whetting our appetite? Sadly, we’ll have to wait for next year for the full enchilada. CHAOS: Whoa, whoa, whoa…hang on! Aren’t you going to tell them about the giveaway? ME: Oh, right…okay, fellow readers, here’s the deal. 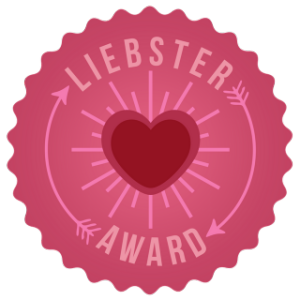 We will be doing a giveaway very, very soon – our first ever actually – and you’ll have a chance to win a copy by one of the amazing authors featured in this post. But you’ll have to wait to see which one. Stay tuned on the blog and on Twitter for more news. Awakening wounded in a darkened cell, their psychic abilities blocked, Aden and Zaira know they must escape. But when the lethal soldiers break free from their mysterious prison, they find themselves in a harsh, inhospitable landscape far from civilization. Their only hope for survival is to make it to the hidden home of a predatory changeling pack that doesn’t welcome outsiders. No cover as of yet, but stay tuned for the reveal.